When you are wearing a wig or a weave, you have so many options of how it is worn. If you are interested in preserving the state of your natural hair, a closure is the best way to go. 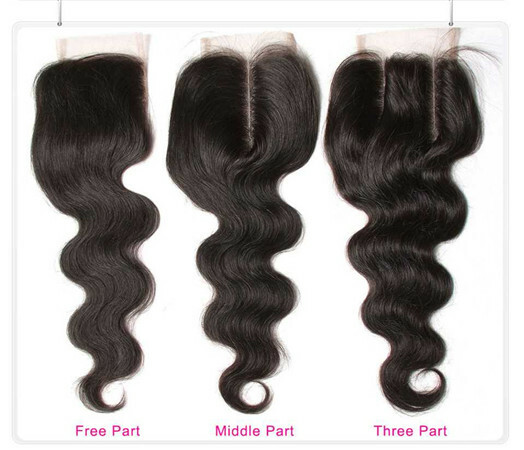 You have the option of a three part, middle part or free part closure. We have talked the free part closure in former article,let’s go over everything you need to know about three part closures. First,let’s talking about lace closures. 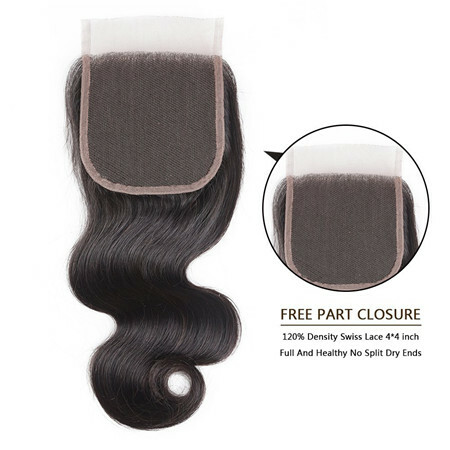 A free part: You can part this closure anywhere. This closure is also the best if you want to wear your hair straight back with no part. The hair will look like it is coming from your scalp. 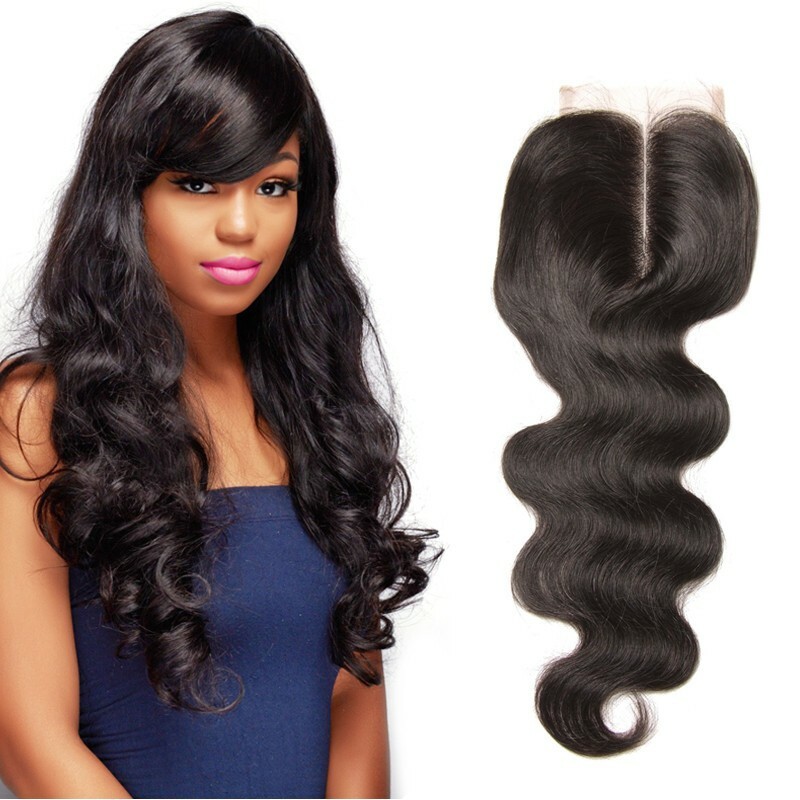 Click here to get a free part lace closure. The middle/side part: Which is where the closure is pre-parted one way, and you can only wear the closure parted in that area. 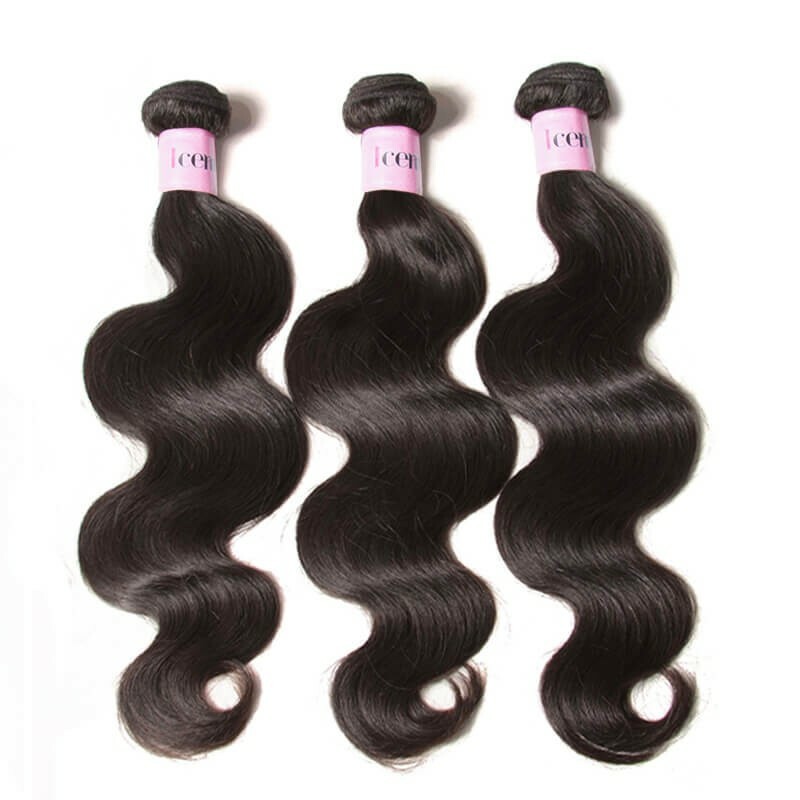 Click here to get a middle part lace closure. If you want to wear a side part, just position the part to the side of your head instead of the middle. The three way part: Where there are three parts. Two on each side and one in the middle, allows you to wear a middle part and a side part on either the right or left. 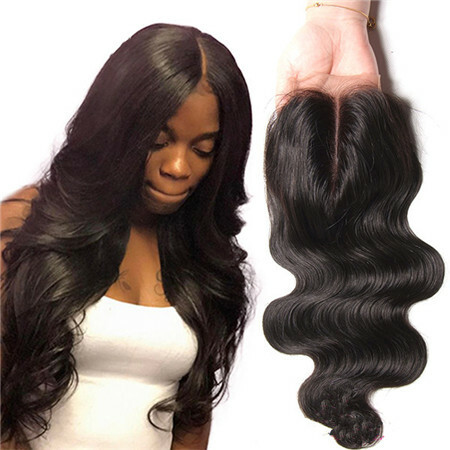 Click here to get a 3 part lace closure. 1.Bleach the lace of hair closure to make it blend well with your skin color. 2.Braiding your own hair and wear a pair of hair net. 3.Complete the sewing in or gluing in your hair closure process. 4.Make sure that you leave a U-shaped portion of cornrow braids on the crown of your head. This is what you have to install the lace closure. 5.Apply a thin line of adhesive. Keep in mind that a little bit of adhesive is enough. Gently press it down until it is secured. Alternatively, you can use a dark colored sewing thread and C-shaped needle to attach the lace closure to the U-shaped section of tracks. Depending on the installation method, a three-part closure can allow you to easily switch your part from side to side . 1.The first secret to shopping (and wearing) lace closure wigs is to know what you’re doing. Anyone can flip into a wig and call it a day but not everyone can pull it off. 2.Brushing your hair closure with a wide-tooth comb softly. Brush the hair gently from the ends as you work your way up to the root. 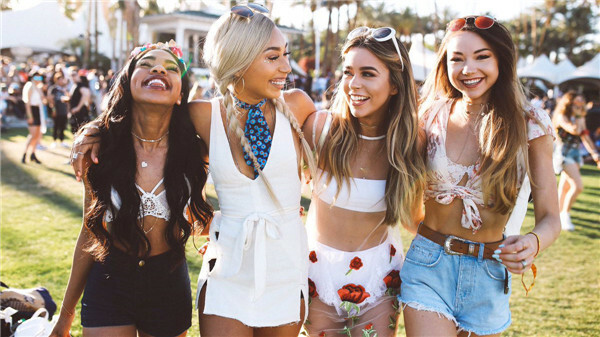 Hold the hair at the root while combing to avoid shade. 3.Use a mid shampoo while you wash your virgin hair closure. Use shampoos that do not contains sulphates, for sulphates are too harsh for weave closure. Use good conditioner for keeping your lace closures smooth and tangle-free. 4.Apply a moisturizing conditioner after every shampoo and a deep conditioner.Because they are made from natural human hair,especially the Brazilian weave will respond to deep conditioning, repairing the cuticle and restoring smoothness and shine. 5.Use a silk scalf to wrap your hair bundles with hair closure while you are sleeping. 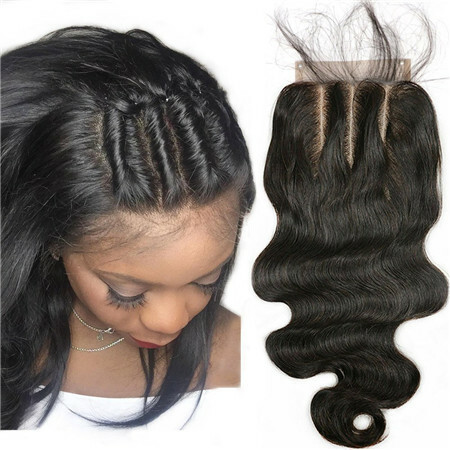 Thus will prevent your closures hair from movement at night and reduce friction. 1.Don’t do anything rash with your closure such as tugging, scratching or rough handling. These are the primary causes of balding which will do more harm than good. 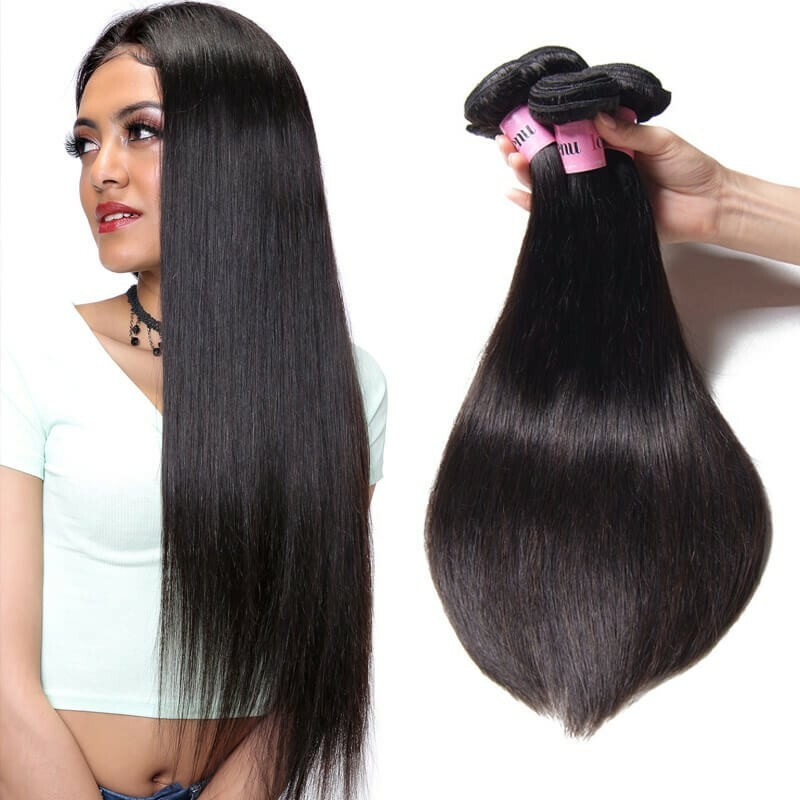 2.Do not use heavy hair products directly on the closure as this could damage the piece itself. Avoid using too many gels, lotions, oils or mousse since this can cause tangles and damage. 3. Blot, but don't rub, your hair dry and allow it to air dry whenever possible. 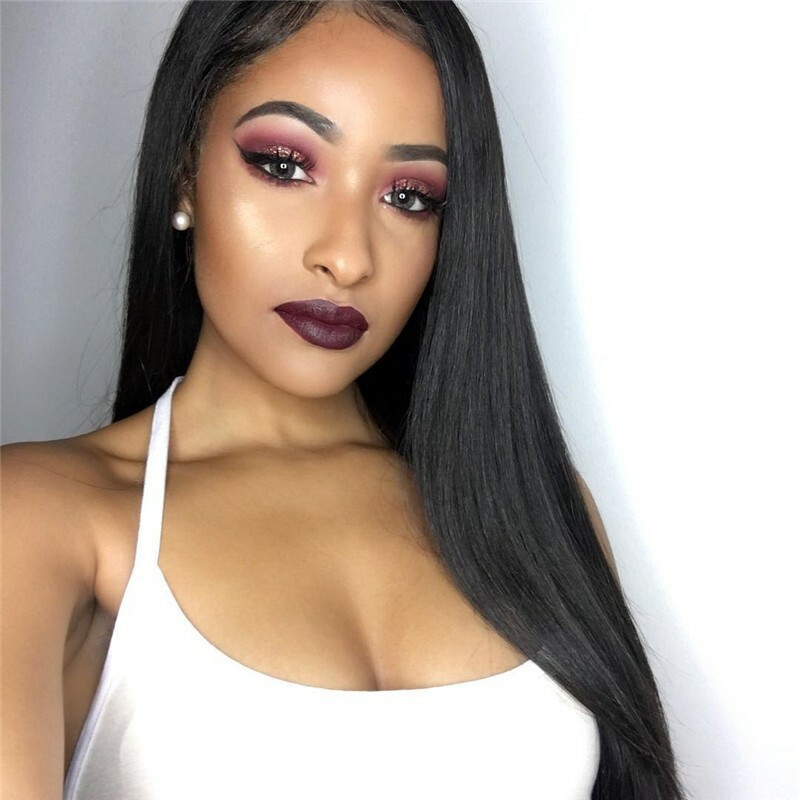 4.Don’t style hair closure or frontal to much times.To design your hairstyle that does not require heat, because heat may damage your lace frontal closure. If you want to curl your closures hair, use soft and ductile roller. 1.choose a suitable hairstyle according to your face、skin color and your prefer,the more it natural,the more beautiful you will be.Why not? 2.you must remember to try your best to do every small thing to care it,just treat your hair closure like a baby. 3.Closures WILL shift back. There is no way to prevent new growth from taking over. These are not meant to be worn for months at a time; however, it IS possible to fix the closure without getting a new install! 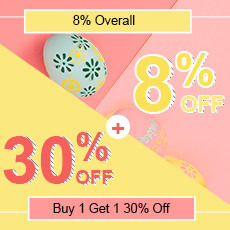 Free part,middle part,three part closure,how to choose? First, the three lace closure don't have any difference in the texture and installing. They are all 100% human hair and all hand tied lace with baby hair. 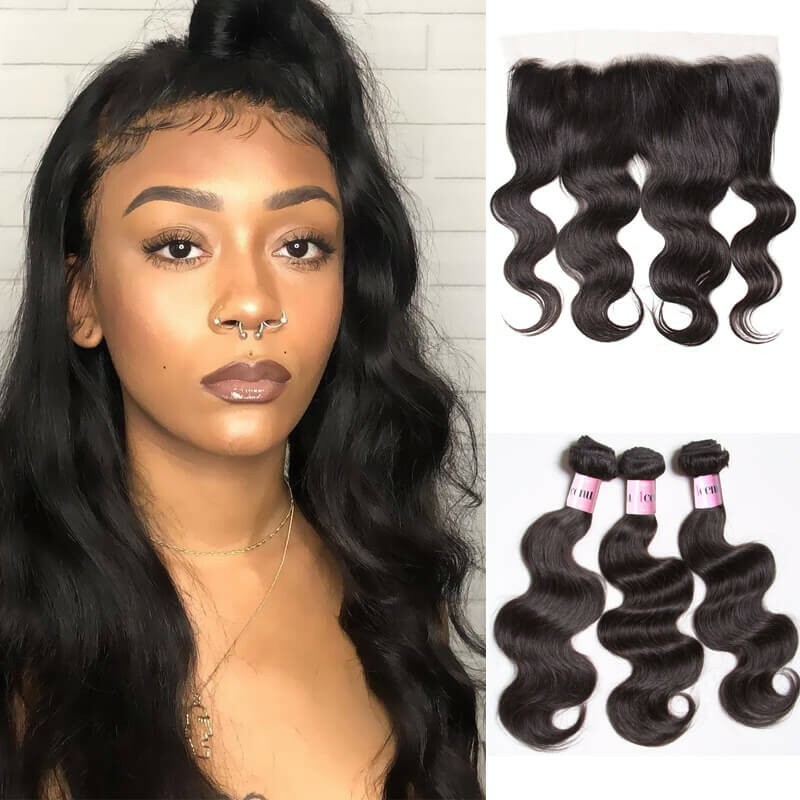 They are equally good and all are easy to style, but it is essential that you bleach the knots for either style of closure. Second, it depends on the different hairstyle ideas. 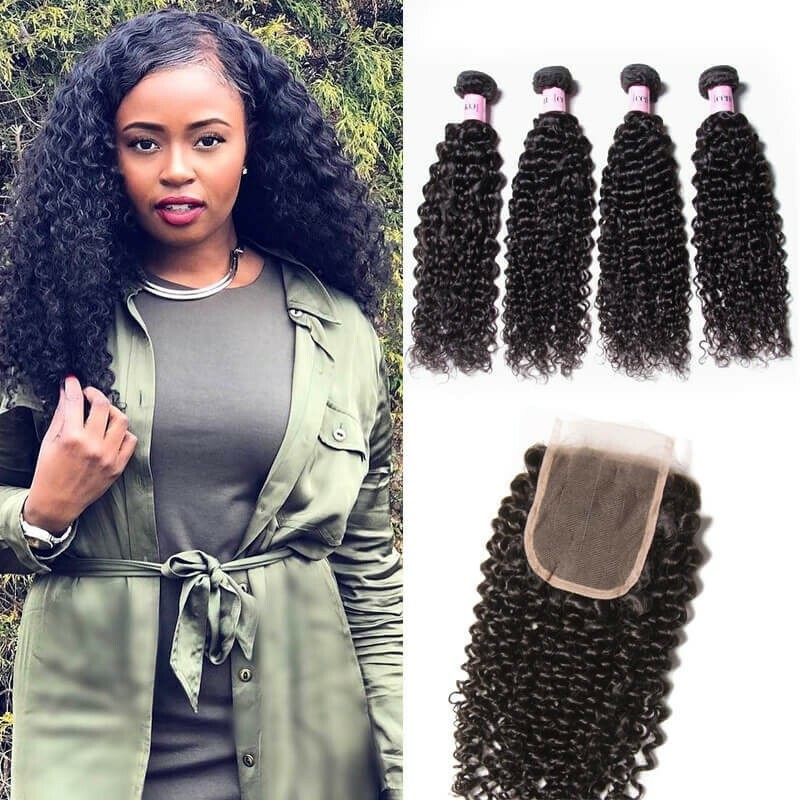 Three Part Lace Closure enables you to have three different partings very easily.Unlike any closure before you can produce versatile hairstyles with such incredible ease!You can wear the three part closure or middle part lace closure when you only plan to wear the hair with a part. Third, it depends on your face shape. Middle part or three part doesn't suite the long face for it draws the face length wards and make someone look weird. Thus free part may be better choice for long face. Fourth, 3 part and middle part are nothing special. When we wash many times, it isn't much different from a free part closure. Thus you can choose anyone of them if they all suite your face shape.